Call Alfred was established with one purpose in mind - to provide stress-free, professional, value for money solutions to every-day chores, and those projects which never seem to get done. By using our services our clients gain more free time, save money, and have peace of mind knowing that we are expert at what we do and all of our work is fully insured and properly managed taking into account our clients’ individual circumstances and time-scales. 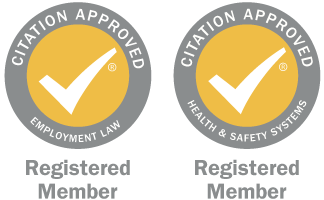 We are a Citation approved business for all aspects of Health & Safety and Employment Law, ensuring full compliance with statutory regulations at all times. We treat our clients as individuals and not simply as a name on a database. This achieves excellent and long-term client relationships and mutual trust and respect. Our staff receive a market leading remuneration package and as importantly are encouraged to become directly involved in the development and management of the business. As a result we have an exceptionally low staff turnover, and a highly motivated and empowered workforce. Our services and processes are innovative, creating an environment where all stakeholders feel a part of our business and directly involved in our growth and success.